It might seem a bit premature to share a recipe for molasses spice cookies, a treat that many associate with Christmas, but I can’t wait any longer. 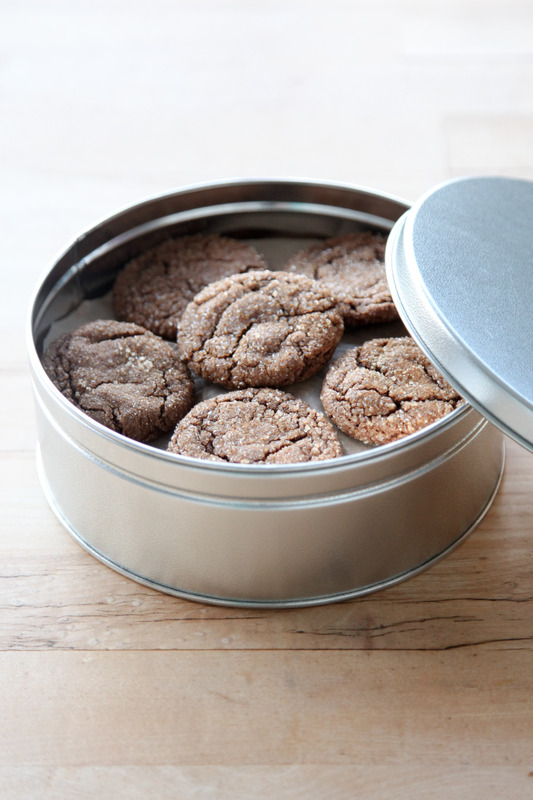 Last winter, I set upon a quest to find the best recipes for molasses spice cookies and gingersnaps, and have been waiting to tell you all about these cookies since. 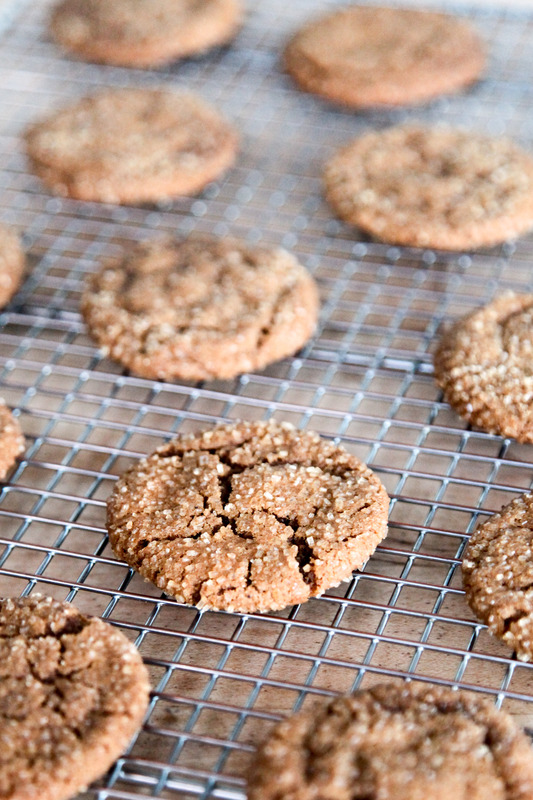 I’m still on the hunt for the latter — if you have a favorite gingersnap recipe, let me know in the comments — but after testing and tasting my way through a handful of contenders, I feel pretty darn confident that these molasses spice cookies are a real winner. Though I found the winning recipe in a contemporary cookbook — Amanda Hesser’s The Essential New York Times Cookbook: Classic Recipes for a New Century — this cookie’s story begins much earlier, as it was published in its original form in an 18th-century cookbook before being adapted and printed in a 1973 issue of The New York Times. All of which is to say that this cookie is tried and true. Sure, it’s been adapted a few times now (first in the paper, then in the cookbook, and now, by me), but there’s a certain old-time homeyness to them that I quite like. Crisp at the edges and chewy in the center, these spice-packed cookies are best the day they’re baked, or the day after, but still quite tasty later in the week, provided they’re stored in an airtight container. Because of this, I tend to only bake off as many as I think I’ll consume (or share with others) in that time window, freezing the rest unbaked. When a craving hits, I pull a few of the flattened dough balls out of the freezer and bake them off (they take about a minute longer). Practically on-demand cookies, it doesn’t get much better than that! 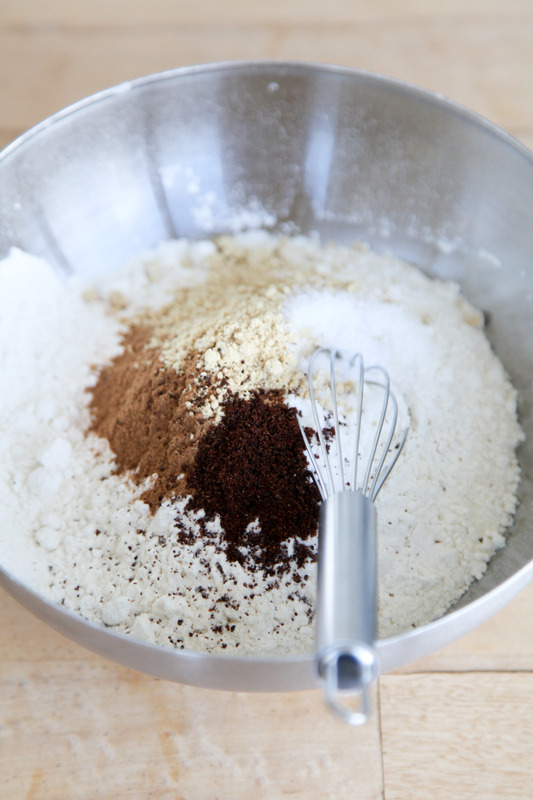 In a medium mixing bowl, whisk together the flour, baking soda, spices, and salt. 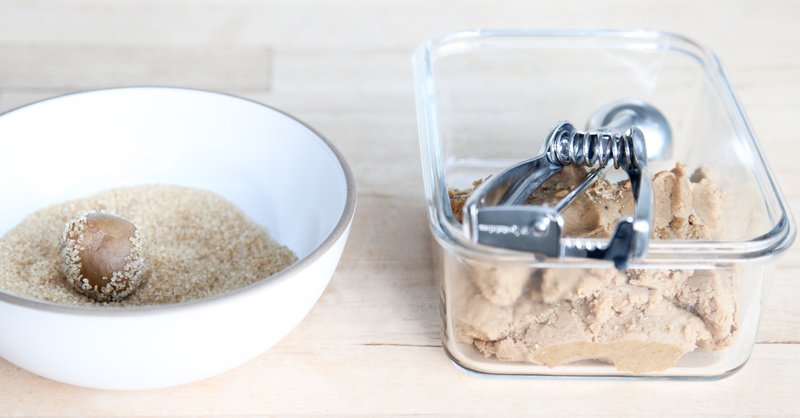 Add the butter and brown sugar to the bowl of a stand mixer (or a large mixing bowl, if using a hand mixer). Beat on medium-high until light and fluffy, about 3 minutes. Add the egg and molasses, and beat until combined, scraping down the bowl as needed. Add the dry ingredients, pulsing the mixer on and off until the dry ingredients are incorporated enough that they won't puff out of the bowl, then mix on low until just combined. Turn the dough out into an airtight container (or cover the mixing bowl in plastic wrap) and refrigerate for at least 2 hours, or better yet, overnight. Preheat the oven to 375°F. Line two half-sheet pans with parchment paper. Add the demerera or granulated sugar to a small bowl. Use a #50 cookie scoop to portion out the dough, then roll each ball of dough between your palms until it's round. Roll the cookie dough balls in the sugar. Arrange the cookies on the prepped pans, 12 cookies to a pan. Use the bottom of a water glass to flatten the cookies (dip the bottom in the bowl of sugar if it starts to stick to the cookies). Bake for 7-9 minutes, rotating the pan halfway through, or until the cookies are puffy and cracked but still quite soft. (They'll deflate while cooling.) Wait 2-3 minutes, then transfer to cooling racks. A #50 cookie scoop has a capacity of about 1 1/2 tablespoons; if you don't have that size cookie scoop, something in that neighborhood can be substituted, just adjust the cook time accordingly. I've rolled these cookies in granulated sugar, fine demerera sugar (coarser than granulated, but not huge crystals) and coarse demerera sugar; I recommend all but the latter. Hey Nicole! Getting ready to make these. Question, are they chewy, soft, or what? Sounds delicious! Sorry I missed your comment! They’re on the chewy side — although can veer towards crunchy if you bake them longer (not a bad thing really, but I prefer them chewy).